Having fallen in love with making my own activewear has truly motivated me to continue working out 4-5 days a week. As I've mentioned in the past, I mainly workout to maintain my current weight, as well as keep some of my ailments at bay. However, don't let all the above fool you. There are mornings.. 5:00am... that I just lay in my bed and stare at the ceiling... honestly cursing to myself ... I don't want to effing do it. But let 2 or more days go by without working out and one or two ailments will crop up and remind me why I need to do it. Also, with the New Year in full effect, I'm proud to say I have not had one emergency visit to the hospital, nor have I had to take any meds or shots. 2015 and early 2016 was brutal, my body was constantly pumped with meds/shots to relieve my pain. Fast forward to 2017, staying committed to working out has kept me feeling better than ever and pain FREE !!!! It's approaching a full year that I have remained constant and truly proud of myself, but sheesh it takes commitment. I make sure before I go to bed, to have my workout gear and equipment ready. Also, depending on what type of workout I will do... have selected furniture moved out of the way too. Some mornings after I've completed my workout, I have to laugh at myself. My guy is about to take a pic and tells me... ummmmm babe... I think your top is on backwards....lol. Yes, I have rolled out of bed thrown on my clothes and given less than a babyburp about whether its on right. 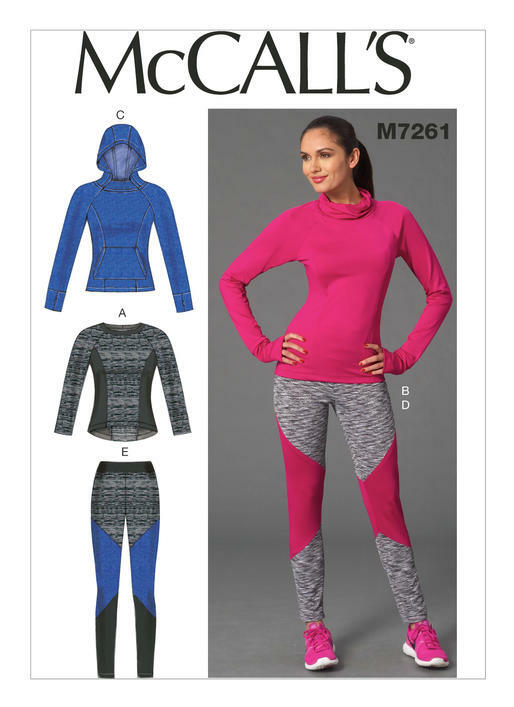 This activewear set is modified Mccalls 7556 with another Mccalls 7261 leggings. I used a hot pink two-way stretch knit from 123 Fabrics, Bklyn, N.Y. and a black/hot pink stretch lace from Silk Road, Bklyn, N.Y. The modifications to Mccalls 7556 were easy, but with this post already long-winged, I will talk about that in another post with another make. What an awesome workout set! And I hear you about not wanting to get up and doing your workout! I walk 2 miles every morning and some days, I just don't want to! But, like you, I just do it! Congratulations on getting and staying healthy! Awesome post Sheila! Your outfit looks beautiful and I love love the pink! it's my favorite color for workout wear. I've been really inspired by all of the workout clothes you've been making recently. I fell off the wagon workout wise. Maybe if I make a few outfits I'll get back into the swing of things. I need capri length or shorter I get over heated easily. Remind me again what the name of the workout is that you do with the thicker hoola hoop ? And is it low impact ? Do you go to classes or videos ? Thank you Kathy ! Yes, sewing some workout gear will definitely motivate you. The workout is called power hooping and I didn't take classes. Hoops can be found at Walmart or any sports store. Being new to power hooping you would want to start with a 2.5 - 3lb hoop & hoop for 3 minutes a day for 3 - 4 days and increase your time once you've mastered the 3-4 mins. Warning, don't over do it in the beginning.. bruising will occur. I followed a variety of youtube videos when I started. It is low impact and you can work it up to high impact. I upgraded my hoop to a 6.8lbs (from luxuryfitnesshoops@gmail.com) after hooping with a lightweight hoop for a few years. During my early hoop days, I wasn't consistent, but now I am and it keeps my ailments at bay. It really helped my sciatica, gerds, heel spurs & brusitsis, etc. It was so painful to get up in the morming... uggh.. feeling like I had a 90 y.o body..lol. Now that I am consistent. .. I'm not experiencing pain. So I am forced to keep at it and new workout gear is another motivating factor. Wow, that is BRIGHT! I love it! I wish the person walking along the street this morning, in the dark and rain, had even a bit of clothing that bright. They scared the bejeebbers out of me! It definitely helps with balance. However, I also use a balance board for balancing and for my restless leg syndrome. 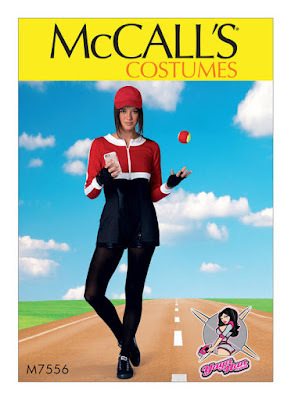 Wow, you are really creating a new niche in the "workout gear" world! This is a very nice set and makes you want to workout with the bright, colorful look! Love it! Lovely workout clothing! You are truly dedicated on the workout and it shows! Love the pink work out set..Looks so pretty.. Congrats on being so vigil on your workout.. Thank you Garnet ! Now if only I could apply some fortitude & commitment to other areas of my life.